“Fish and other aquatic animals are prone to bacterial infections in the same way as terrestrial animals. Disease may occur systemically or be confined to external surfaces; either way, it can cause suffering for the animals and economic difficulties for the fishermen, fish farmers and other aquatic workers who rely on them. With recent increases in intensive fish farming systems and international trade, as well as the emergence of new diseases, it has become more important than ever that up-to-date aquaculture research into bacteria is applied and that laboratories have diagnostic capacity to identify new pathogens. 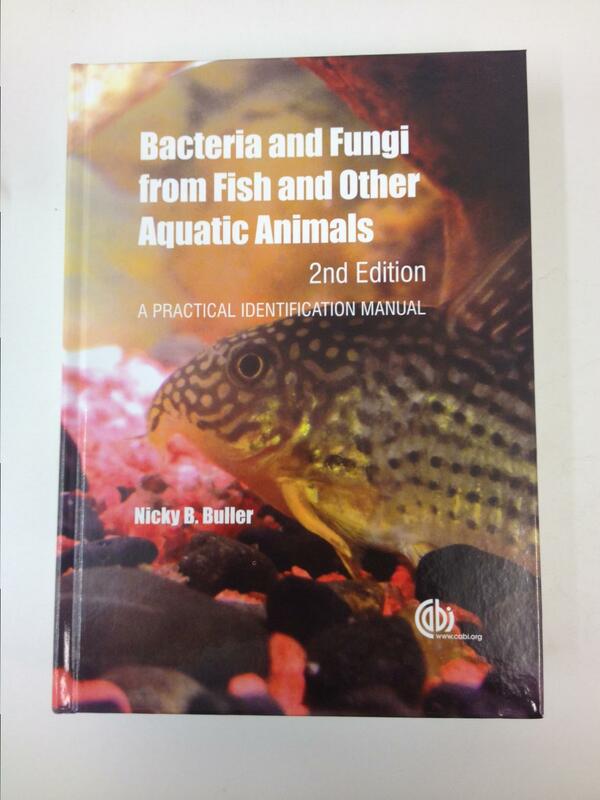 The practical book provides an updated resource for the identification of bacteria found in animals inhabiting the aquatic environment. Detailing the steps taken to isolate and identify unknown bacteria, it contains expanded biochemical identification tables, molecular identification tests and updated information on the pathogenesis and virulence of each organism. It also includes new coverage of traditional and molecular identification of fungal pathogens and quality-assurance-standards for laboratories. Doctor Buller is senior microbiologist at Animal Health Laboratories, Department of Agriculture and Food Western Australia where she has worked for over 20 years. Prior to this she worked in medical laboratories. She has a post-graduate qualification in molecular biology, a PhD involving molecular typing techniques. Book cover picture: The fish on the cover was named “Zoidberg” from the cartoon Futurama. Previous Post Fish Joke for Monday-itis: What is the most boring fish in the world? Next Post Busting shark myths.